Heat oil in a large nonstick skillet over high heat until very hot. Add garlic and chile pepper and, stirring frequently, toast until fragrant and the garlic is light golden brown in color, about 30 seconds. Add shrimp and lemon juice and season with salt and pepper, to taste. Cook until shrimp are opaque, 2-4 minutes, depending on the size of the shrimp. Remove pan from heat and stir in green onions, parsley and lemon zest. 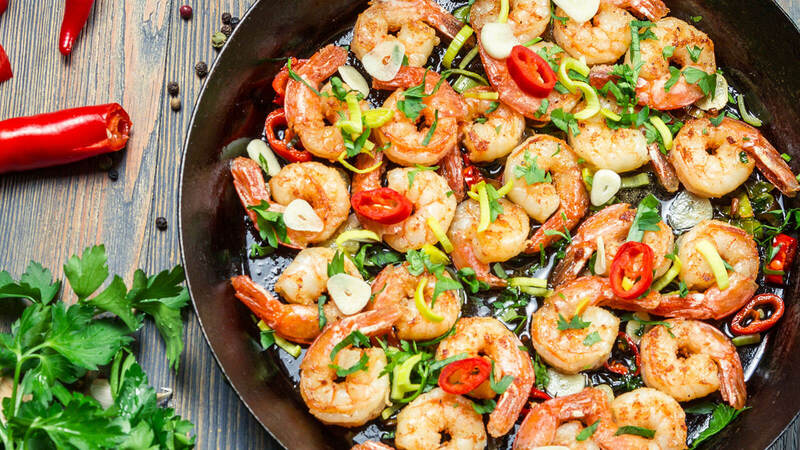 Serve shrimp in shallow dishes with crusty bread on the side for dipping in the pan juices.